Enjoy 10% discount offered to Public & additional 10% discount for 2nd module and above to all! UTAR BACHELOR OF COMMERCE (HONS) ACCOUNTING students in 3rd year are welcome to join! 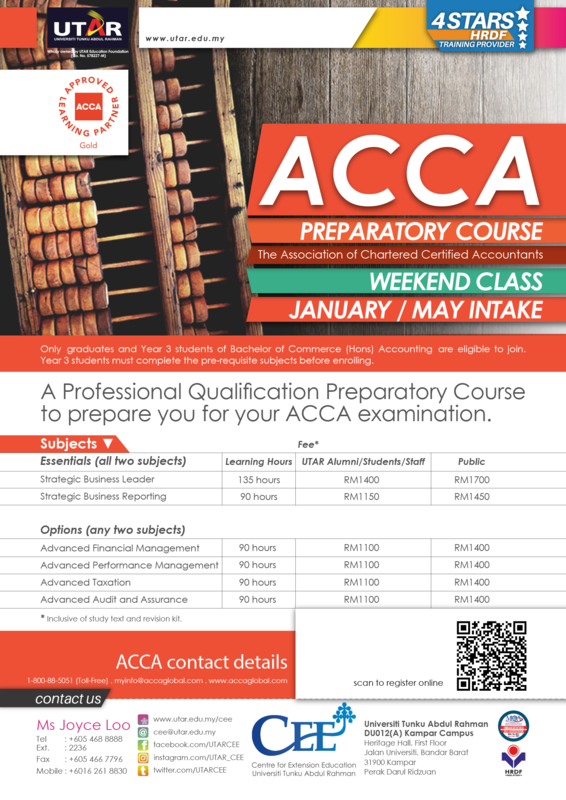 The ACCA preparatory course is to prepare you for the June 2019 and/or December 2019 ACCA examinations.